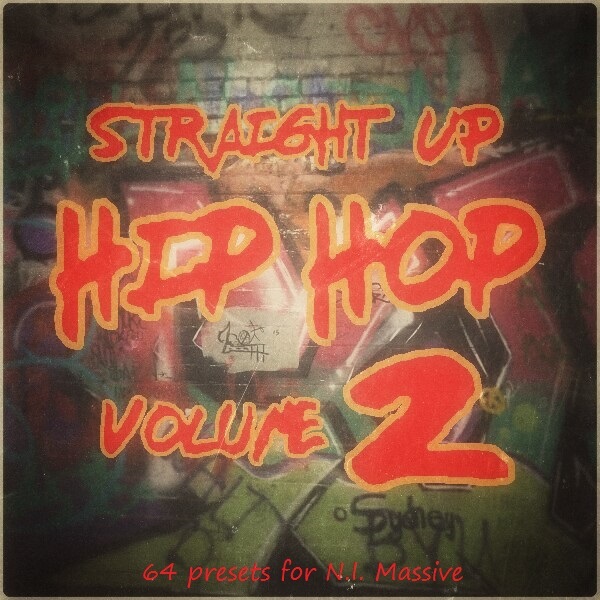 'Straight Up Hip Hop Volume 2' contains 70 fresh and current sounds for your Hip Hop, RnB and Trap productions. Crafted by one of Native Instruments' own sound designers, who also created some of the sounds used in Chris Brown's latest hits, this collection is inspired by the current sound of DJMustard, Drake and others. These thick subs and basses, phat leads and other powerful sounds are ready to add that special spice to your next track. All 8 Macro Controls have been intelligently assigned to each patch for maximum variability and expression. By automating those Macro Controls in your host software, you can really kick things up and get a huge number of possible sounds from just ONE preset. Please note that these patches are in NMSV format only.